Delta Hotels, part of Marriott International, has officially launched Delta Hotels by Marriott Frankfurt Offenbach, marking the European debut of the hotel brand. 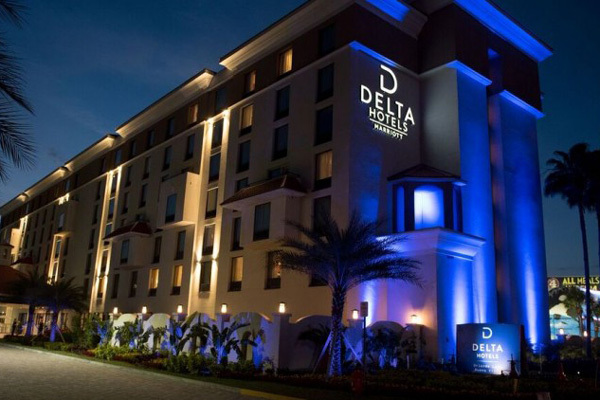 The opening is a significant landmark in the global rollout of the highly regarded Delta Hotels portfolio – one of the company’s fastest growing brands. Situated on the left bank of the Main River between Frankfurt city centre and Offenbach, the hotel is within easy reach of the city’s abundant historical and cultural attractions, and a short stroll from the European Central Bank. The hotel’s 223 spacious guestrooms and suites offer a modern take on comfort: elegantly appointed and decorated in calming hues, with floor to ceiling windows that flood the rooms with an abundance of natural light, while affording sweeping views of the city. And, with the needs of the modern traveller in mind, keyless room entry is offered through the Marriot Mobile App. With the brand’s focus on perfecting and elevating the small details that make a huge difference during travel, guests can also expect to enjoy complimentary bottled water, fast and free wi-fi, and a 24/7 fitness centre with state-of-the-art cardio equipment with touchscreen technology. The exceptional waterfront location, combined with excellent transport links, will be appealing to the business and meetings market. The hotel offers 590-sq-m of ultra-modern event space, including nine multi-function rooms, along with a 24-hour business centre and on-site parking facilities. Operated by Odyssey Offenbach GmbH, it is anticipated that Delta Hotels Frankfurt Offenbach’s stylish meetings, events and dining capabilities will be equally popular with guests and employees of the cluster of nearby companies. Easily accessible from the airport, landmarks such as such Römerberg, Staedel Museum, and the chic boutiques of Goethestrasse are also close by.